The best storage scenario is to store your RV indoors or under a covered area, but that is not always possible. If the RV is stored outside avoid parking it under trees or in areas where grass and weeds will grow. The sun and other elements can damage your RV. The best investment you can make for an RV stored outside is a quality RV cover. The cover should be made of a breathable material to help promote air circulation and to prevent mold and mildew. Inflate the tires to the manufacturer’s recommended max cold pressure. Place some type of blocking between the tires and the ground. Make sure the blocking it is larger than the actual foot print of the tire to prevent damage to the tires. Cover the tires to protect them from the sun and harmful UV rays. Inspect the underside of the unit thoroughly. Look for anywhere mice or other rodents can get inside and seal these areas using silicone or a spray foam product. You can use mouse and ant traps in and around the unit or use a product like Sniff N Stop to prevent mice from nesting inside the RV. Remove all consumables that would attract mice and other rodents and remove all perishables and anything that can freeze. Defrost the freezer compartment and clean the refrigerator. Leave the refrigerator doors open and place some baking soda inside to absorb odors. Make sure the batteries are prepared for winter storage. Batteries self discharge when in storage. A discharged or partially charged battery will freeze much faster than a fully charged battery. If you do not remove the batteries for storage check the battery state-of-charge every month and charge batteries that are at or below 12.5 volts for 12 volt batteries, or 6.25 volts for 6 volt batteries. Check the electrolyte level in lead acid batteries and add distilled water as required. 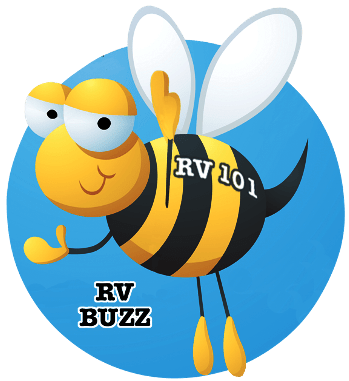 You can plug the RV in once a month, for about eight hours, to keep the coach batteries topped off, or use a product like the Battery Minder to keep batteries topped off. Note: If you are not comfortable performing any of these steps on your RV get the work done by a qualified RV service facility. In addition to these RV storage tips if it is a motorized RV I recommend you fill the fuel tank prior to storage and add a fuel stabilizer. 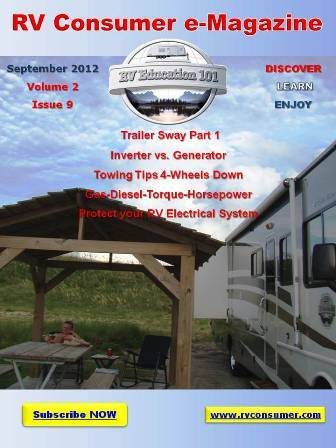 Run the engine and generator long enough to get the stabilizer through the entire fuel system. It’s also a good idea to change the oil and oil filter on the engine and generator prior to storage. Acids accumulate in used oil and can corrode engine bearings. I mentioned at the beginning of the video that these tips don’t cover everything about storing your RV, but if you winterize your RV and follow these storage tips your RV will be ready for the upcoming camping season next spring.